Please come back and look in again later. Thank you! Subscribe to our newsletter and benefit now! Up-to-date with news and attractive holiday offers. 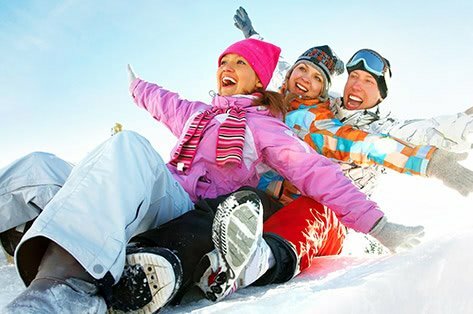 Info & recommendations by the SnowTrex "trexperts"
You would love to go skiing, but you don't know yet if the date will fit all travellers, or if you can get the time off? No problem! Our Last-Minute offers are perfect for getting away on a spontaneous winter holiday and save money at the same time. Be it Austria, France, Switzerland, Germany or Italy - for all destinations and various ski areas we have Last-Minute ski deals in different hotels, apartments or chalets available at unbeatable prices. In the following, there is some further information about our available offers for spontaneous bookers. Is it cheaper to book Last-Minute ski holidays? It is definitively cheaper to book a Last-Minute offer. Even if you decide to book short-notice, there is mostly still a range of winter sports destinations available to choose from. Late deciders can find bookable accommodation not only in Germany, but also in most other neighbouring countries with mountain ranges like Switzerland, France or Austria. The offers can also include destinations of special interest, e.g. après ski destinations in Austria like the Zillertal, Sölden and Ischgl, but also resorts offering more tranquillity and relaxation in a more familiar hotel or a cosy chalet. A big benefit booking short-notice is that there is better estimate of the weather situation. This is essential for skiing holidays, since weather plays a big role in the success of a good holiday. What is considered a Last-Minute booking for a winter holiday? Depending on the travel date, there a various special Last-Minute ski deals possible. As each time of the season permits, there can be e.g. New Year's Last-Minutes, or Christmas and Easter booking specials available. Since demand is always high on such offers, it is wise to keep informed about when and which good deals are currently the best. Hence, we recommend to sign up for our newsletter, which will keep you updated about special offers on ski holidays and hotels, Last-Minute deals, sweepstakes, news and important info about your ski holiday and of course our popular Crazy Booking Night. Do all Last-Minute ski holidays have the same quality standard? Finding a cheap offer does not mean that you have to miss out on good quality on hotel or chalet facilities. Last-Minute deals will maintain the same customer service as all other hotel offers and provide all included services, such as e.g. the Snow Guarantee and the Best-Price Guarantee. Service quality therefore is always the same whilst only the prices decrease for certain resorts over a certain period of time. Until when can I book a Last-Minute ski holiday at the latest? Of course, all Last-Minute deals are only available and bookable for a short time. Last-Minute bookings can be placed until the last working day before arrival (Mon - Fri) until 14:00. Hence, for arrival on Saturday, Sunday or Monday a booking can be made until latest Friday, 14:00. Any other arrival days can be booked until the day before travel, 14:00 in the afternoon. Please consider, that short-notice bookings require quick processing. Ideally, the online booking will be paid with a credit/debit card in order for us to send you all the required travel documents for the holiday in a timely manner. Can I use my holiday voucher on a Last-Minute ski deal? In addition to the already unbeatable offer prices, there is also the option to redeem our regular holiday vouchers (e.g. voucher we send to customers after having taken part in the questionnaire, vouchers from sweepstakes, etc.) or vouchers resulting from a complaint. The overall holiday price can therefore be reduced even further (terms and conditions of the voucher in use apply).